YAC coordinator Jonathan Westfield (middle) talks to Rodney Davis about the work done at the Youth Assessment Center. 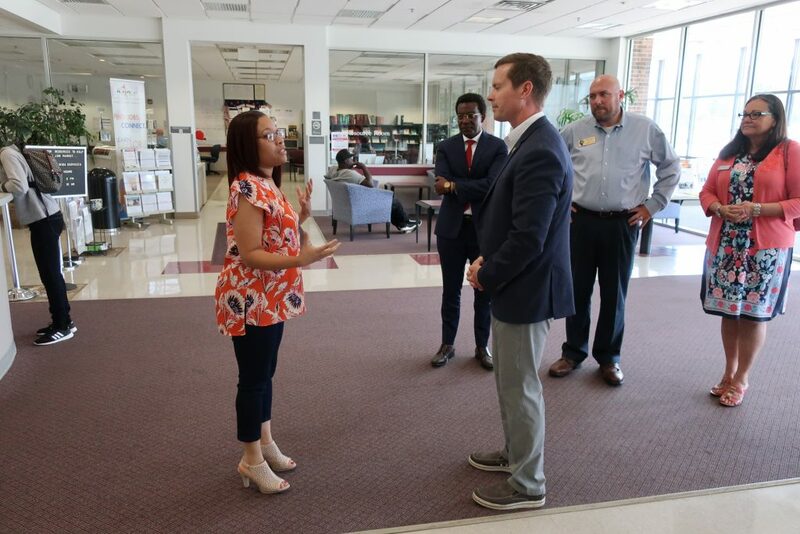 U.S. Representative Rodney Davis visited the RPC’s Workforce Development program and Youth Assessment Center (YAC) on Monday, July 30, 2018. Led by Workforce Development program manager Toriana Rhone and YAC coordinator Jonathan Westfield, Davis learned about how both programs benefit our community. 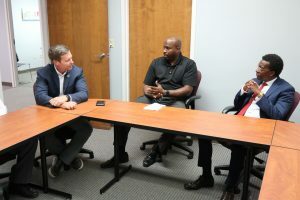 He also had a chance to hear from a Champaign County employer and clients of the Workforce Development program, including Nate McBride with Midwest Underground Technologies, Inc., as well as Orlando Thomas of the Champaign Unit 4 School District and Lt. Nathan Rath of the Champaign Police Department, who discussed the YAC’s impact on Champaign County youth.